Calliope Jones, Butterfly Harbor’s free-spirited organic farmer, is the most vocal objector to Xander Costas and his design for the butterfly sanctuary that he hopes will save his family’s architectural firm. Strangely, it’s Calliope who shows him what the town, and he, really need. Calliope makes Xander listen with his heart. And soon his heart may be telling him to stay with this extraordinary woman! 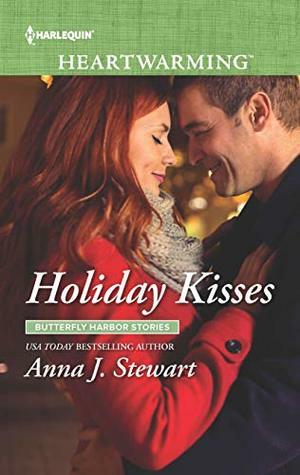 With a magical spirit and a voice all her own, Anna J. Stewart is quick to draw me back into the joy of Butterfly Harbor with each return visit! The townspeople are like one big happy family who love and support each other no matter what might be happening in each other’s lives at any particular time. They are there for the laughter, and there for the tears as life leads them all through its ups and downs. This visit is centered around Calliope, her little sister and the life she treasures so. It’s a great read and left me smiling. Architect Xander Costas is sure that this butterfly sanctuary job in quaint Butterfly Harbor will be just what he needs to get his family’s firm back in solid footing again. He expects to be in and out of town quickly with work underway without an issue. He’s not expecting the town’s favorite member to put the kibosh on his rendering of the new site. Free-spirit Callipe Jones is loved by all and is a major player in all that makes Butterfly Harbor the peaceful town that it is. She isn’t shy about speaking her mind, but she also isn’t short with the love and human kindness she shows to the earth and all of it’s creatures, no matter how large or small. It doesn’t take Xander long to figure out that she’s one of a kind, and he’s not so sure he’s going to easily be walking away from her or this town anytime soon.